A trip to breathtaking destinations in Europe is a recipe for romance. The continent’s historic cities, charming cafes and quaint vistas will steal your heart whether you’re celebrating an anniversary or just want to get away with your loved one from the distractions of day-to-day life. Luxury Gold can take you to some of the most romantic places in Europe in comfort and exquisite style. You’ll stay in elegant hotels at the heart of the destination, enjoy immersive cultural activities á deux, and know that all the details are taken care of by an expert Traveling Concierge. Escape into a world of timeless glamour: With a stunning champagne bar, sumptuous upholstery and antique fixtures, the Venice Simplon-Orient-Express epitomizes the allure and elegance of the Golden Era of travel. On two Luxury Gold itineraries, guests are transported back in time for a day and a night as they journey from Venice to Paris in elegant cabins dressed in fine fabrics, wood paneling, soft lighting and crisp sheets. In the exquisite dining cars, feast on a leisurely, four-course dinner cooked by skilled French chefs, such as lobsters from Brittany, salt marsh lamb from Mont St. Michel and local and seasonal produce that’s brought on board at stops along the route. After enjoying the elegant atmosphere and timeless indulgence of the train, guests disembark in Paris where they spend another day and night exploring the incomparable City of Light. Luxury Gold guests can experience all the romance of this fabled train on both the “Ultimate Italy” and “La Serenissima” itineraries, which also includes visits to Florence, Rome, Capri, Naples, Rome and Perugia. A poetic itinerary on the La Serenissima journey includes a romantic tour of Verona that’s home to Shakespeare’s famous star-crossed lovers Romeo and Juliet. Stroll past the well-preserved Roman arena and through a maze of elegant squares to stand beneath the balcony said to have belonged to the Capulet family. Fall in love on a journey to the past: The elegant and artistic Artstetten Castle is a place where royal history still pulsates with life on Luxury Gold’s “Harmony of Central Europe” itinerary. Part of Stanley Tollman’s unique and exquisite Chairman’s Collection, guests will step into a romantic fairytale while in Vienna to attend a private reception with legendary local Princess Anita von Hohenberg, who is a descendant of the famous Habsburgs. They’ll hear all about her life, heritage and the fascinating personalities of the Habsburg monarchy. Guests can walk hand-in hand on the cobblestone streets of Český Krumlov in the Czech Republic and gaze their eyes on the marvelous Renaissance and baroque architecture of a 13th century castle, known as one of the most important historic sites in Central Europe. Couples can share an intimate dinner at the elegant Gundel restaurant in Budapest, Hungary’s most renowned restaurant , to feast on delightful local dishes with a backdrop of traditional folk music. For an after-dinner treat, couples can look up at the stars with a glass of sparkling wine while aboard a private cruise along the glimmering Danube River. Get infatuated with Ireland: An old Irish proverb says that “your feet will bring you to where your heart is.” On Luxury Gold’s “Ultimate Ireland” itinerary, couples can charm each other while learning Irish dancing during a dance class with the Gaelic Roots in Blarney. In Dublin, guests can admire the beautiful, architectural buildings on O’Connell Street, tour the city’s beloved 18th-century Custom House and the marvelous medieval stones of Dublin Castle. Later share an exceptional, Michelin-starred dinner at L’Ecrivain, famous for its fine-dining and delectable, classic French cuisine. Indulge on rich sweets during a truffle tasting in the enchanting, medieval town of Kilkenny with a delectable visit to the local farmers market. While traveling to the beautiful village of Cong in County Mayo, couples can stay in the most elegant place in Ireland–Ashford Castle . The timeless castle is set upon a picturesque 350-acre estate with historical features at every turn, making it a dreamy location for a relaxing, romantic getaway. Guests can will dine à la carte at the treasured George V Dining Room, with delicacies including Ossetra Caviar and Skeaghanore Duck. Luxury Gold offers a collection of award-winning journeys, guided by a Traveling Concierge, where guests enjoy exclusive VIP Experiences, savor exceptional dining and relax in luxury hotels on every curated itinerary. The TreadRight Foundation, created as a joint initiative of The Travel Corporation’s (TTC) family of brands, is a not-for-profit that works to help ensure the environment and communities visited remain vibrant for generations to come. Founded by Brett Tollman, Chief Executive, TTC, to date TreadRight has supported more than 40 sustainable tourism projects worldwide. To learn more about past and current work at TreadRight, visit TreadRight.org. African Travel, Inc., a leader in handcrafted safari vacations to Africa, is featuring eight spectacular new itineraries, several enhanced journeys that feature new hotels, experiences and activities, and one brand-new destination for 2019. GLENDALE, Calif.– African Travel, Inc., a leader in handcrafted safari vacations to Africa, is featuring eight spectacular new itineraries, several enhanced journeys that feature new hotels, experiences and activities, and one brand-new destination for 2019. Whether you want to see rare mountain gorillas and other wildlife, experience adrenaline adventures, immerse yourself in African culture, or taste local delicacies the 2019 brochure’s 31 journeys will lead you to the experience to match your tastes and desires. ‘Southern Explorer,’ its most popular safari adventure, has been revamped and enhanced for 2019! This air-inclusive journey combines spectacular Cape Town and Kruger National Park with the majesty of Victoria Falls, one of the world’s Seven Natural Wonders. Guests are treated to special new experiences such as private guided sightseeing in Cape Town and Victoria Falls, a dinner cruise on the Zambezi River, and a scenic helicopter flight over the falls. Travelers see the best of southern Africa’s vibrant culture, scenic beauty and natural wonders on this incredible journey. 12 days, from $10,795 pp, airfare included. ‘South Africa’s Natural Wonders’ offers the perfect blend of city, scenery, nature and wildlife. This new 10-day itinerary starts with private sightseeing in Cape Town and on the scenic Cape Peninsula, then takes guests to nearby Grootbos Private Nature Reserve for land-based outdoor activities and marine wildlife viewing. The trip’s final destination is the malaria-free Shamwari Private Game Reserve, the country’s largest privately-owned game reserve, where guests go on multiple Big Five game drives and learn about the reserve’s conservation programs. Cap off your stay with a lively dinner at Shamwari’s traditional boma. 12 days, from $9,495 pp. The enhanced ‘Best of Botswana with Victoria Falls’ itinerary takes guests on a journey of discovery through Botswana’s vast, pristine wilderness, and ends with a stay at Zimbabwe’s legendary Victoria Falls. Guests discover the Okavango Delta’s maze of lagoons on a scenic helicopter flight, then explore its secret channels by traditional mokoro. Later they view the open grasslands and seasonal floodplains of the Moremi Game Reserve on 4×4 safari drives. In Victoria Falls guests explore the tropical rainforests, and take a sunset dinner cruise on the mighty Zambezi river. 11 days, from $9,395 pp, airfare included. Zimbabwe has re-emerged as a top contender for tourism in the past year, with much to offer the safari enthusiast. The enhanced ‘Beyond the Rainbow’ itinerary includes several of the country’s most popular highlights, including the thundering Victoria Falls, Hwange National Park and Mana Pools National Park. Walking tours, game drives, canoeing and wildlife viewing from hides let guests experience exceptional wildlife, including huge herds of elephants and pods of bobbing hippos. Additionally, guests will enjoy lunch perched above the Batoka Gorge, where they can marvel at the thunderous sound of the falls and feel the mist while they dine. Days are capped off with unmatched stargazing and lively storytelling around the campfire at luxurious tented camps. 12 days, from $11,295 pp, airfare included. The enhanced ‘Essence of Southern Africa’ itinerary now starts with a stay at the elegant Ellerman House, one of the hottest addresses in Cape Town. Set against the backdrop of Lion’s Head, Ellerman features terraced indigenous gardens, magnificent views of the Atlantic Ocean, and an incomparable South African art collection. The trip continues to Botswana, where guests enjoy a scenic helicopter flight over the Okavango Delta, and see a staggering amount of wildlife at Selinda Reserve. Also new on the itinerary this year is a stay at the brand new Stanley & Livingstone Boutique hotel in Victoria Falls, where guests take a private guided tour of the falls, enjoy a sunset cruise on the luxurious 28-seat Zambezi Royal, and have a memorable dinner experience on the vintage Bushtracks Express train. 11 days, from $15,995 pp. The wildlife-focused ‘Delta, Rivers, and Falls’ visits both Botswana and Zambia, African Travel’s newest destination. Guests discover the beauty of the Zambezi River, the magnificent sunsets on the Chobe River, and the intricacies of the Okavango Delta, then end their journey with a magnificent safari at the famous Chief’s Island. Day and night game drives, river cruises, walking safaris and mokoro rides are all included as part of the experience. This journey features luxurious tented accommodation throughout, including tree houses lining the banks of the Zambezi River, a cottage with both indoor and outdoor showers, a classic tented camp, and elegant bush pavilions with private plunge pools. 9 days, from $6,995 pp. ‘Ultimate Tanzania and Rwanda’ has all the ingredients of a safari masterpiece: fantastic wildlife viewing opportunities on Tanzania’s Serengeti plains and in the private Grumeti Reserve, two gorilla treks in Rwanda, visits to several UNESCO World Heritage Sites, and even a ride above the plains in a hot air balloon! This bucket list journey also offers cultural and conservation experiences : guests visit a local food market in Kigali and cook with a chef, and help with reforestation activities in the Sabinyo Mountains. 13 days, from $22,475 pp. The new ‘Deserts and Dunes of Namibia’ flying safari visits the wildlife sanctuary of Etosha, the iconic red dunes of Sossusvlei, and the ruggedly beautiful Skeleton Coast. It starts in the totally captivating Etosha Private Reserve, where the savanna stretches as far as the eye can see, and guests will rarely encounter another visitor. Early morning and late afternoon game drives reveal lions, giraffes, ostriches and hyenas, as well as the elusive black and white rhino. Next they’ll explore the shipwreck-strewn Skeleton Coast and see a seal colony, then stay overnight in the stylish new Shipwreck Lodge, which is literally built in the shape of a ship. Finally, they’ll marvel at the giant, fiery red dunes of Sossusvlei, and see the ancient fossilized acacia trees at Deadvlei salt pan. 10 days, from $12,695 pp. ‘Cape to Cairo’ is a new itinerary for luxury travelers who want to do it ALL in one trip, from the southern tip of Africa to the top of the continent. This comprehensive 16-day adventure includes the cosmopolitan sights of Cape Town, the grandeur of Victoria Falls and the mighty Zambezi River, endless game viewing opportunities in Kenya’s Maasai Mara, and the legendary pyramids of ancient Egypt. The itinerary is designed so that guests stay at each destination for three or four nights, allowing time to unpack and really soak up the highlights. Along the way guests also enjoy unique experiences like blending their own wine in the Cape, eating breakfast with giraffes in Nairobi, going hot air ballooning in the Maasai Mara, and taking a private tour of Cairo with an Egyptologist. 16 days, from $13,995 pp. To view the 2019 brochure, click here. 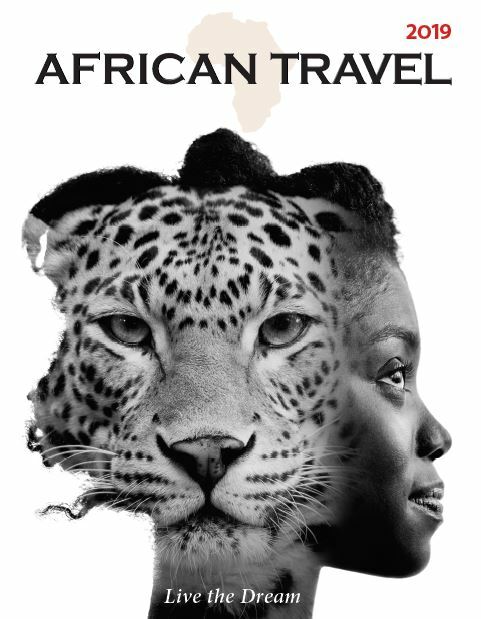 For more information or to book a 2019 safari trip, contact your travel professional, call African Travel, Inc. at (800) 727-7207, or visit www.africantravelinc.com. African Travel is part of The Travel Corporation’s (TTC) family of brands. Created as a joint initiative between The Travel Corporation ‘s (TTC) family of brands, The TreadRight Foundation is a not-for-profit that works to help ensure the environment and communities we visit remain vibrant for generations to come. To date, TreadRight has supported some 50 sustainable tourism projects worldwide. The Foundation’s guiding principle is to encourage sustainable tourism development through conservation, leadership and support for communities. Foundation priorities are set by the Steering Committee, which includes sustainability leaders Céline Cousteau and Costas Christ. Past project partners include WWF, Conservation International, WildAid, The Travel Foundation and The National Trust in the UK. Current initiatives include supporting various women’s social enterprises through the Artisan Alliance, the recently announced Wildlife Conservation Society’s Big Cat fund, WE.org and inspiring nature advocates like Terri Irwin. To learn more about past and current work at TreadRight, please visit us at TreadRight.org. RYE, NY – When traveling, the best way to get to know a destination is by immersing oneself in the local culture, whether it be through a unique encounter with local people, dining on authentic regional cuisine, or seeing an iconic monument in a new way. On Luxury Gold’s nine new itineraries, immersive VIP experiences are built into each trip. Guests learn about the people, places and history of each destination in ways that aren’t available to the average traveler, while moving from city to city on luxury coaches with extra legroom, staying in five-star hotels in stunning locations, and enjoying the personal attention of an expertly trained Traveling Concierge. Majestic Japan: As part of this 11-day journey guests journey north via the luxurious shinkansen bullet train to Sendai, the City of Trees. This is a truly locals-only region, off the beaten path and away from the tourist crowds. Guests spend some time exploring Aoba Castle, and see a thrilling exclusive performance by a samurai warrior . Afterwards guests meet with the samurai, who also happens to be a member of one of Sendai’s most influential families. This is one of three VIP experiences on the itinerary, which also includes a meeting with a survivor of the 1945 atomic bomb in Hiroshima, and a private musical performance of Tsugaru Shamisen and Taiko in Tsugaru han Neputa Village. Captivating Croatia and Montenegro: This extraordinary 12-day journey showcases the warm hospitality, unique cuisine and ancient cultures of Croatia and Montenegro. In Dubrovnik guests have a VIP meeting with Matija and Giorgio Vierda, master jewelry craftsmen whose family’s work can be found amongs the treasured possessions at the Ethnographic Museum. They’ll demonstrate ancient goldsmithing techniques and show off some of their handiwork. Also on this itinerary guests join Tomislav, an oyster farmer, for a boat ride to the floating oyster beds of the Adriatic near the village of Stön. They’ll watch as he brings in the ropes and shucks oysters right on board. Guests then savor a mouthful straight from the sea, served with freshly squeezed lemon and a chilled glass of local wine. Later they return to the shore for a family-style, sea-to-table lunch at the captain’s very own restaurant. Timeless Scandinavia: Nautical grandeur, extraordinary natural wonders and man-made marvels are front and center on this 12-day journey to Denmark, Sweden and Norway. In Oslo, guests are treated to a VIP after-hours visit to the Holmenkollen Ski Jump Museum, where they learn about 4,000 years of skiing history. Afterwards, they’ll drink a toast at the top of the famous ski jump – which was the site of the 1952 winter Olympic ski jumping events – and enjoy panoramic views of the city. British Royale: The pomp and pageantry of Britain’s royal heritage is the focus of this incredible nine-day journey, which includes a special after-hours visit to the Tower of London, one of the city’s most infamous monuments. In the evening, once the crowds have gone home, guests take a private tour with a serving Yeoman Warder then watch him perform the Ceremony of the Keys, an ancient gate-closing ritual carried out every night for the past 700 years. On this itinerary guests also get after-hours, VIP entry to York’s majestic Harlow Carr Gardens, a member of the Royal Horticultural Society, where they learn about indigenous plant species from a senior gardener before enjoying an exclusive twilight picnic. 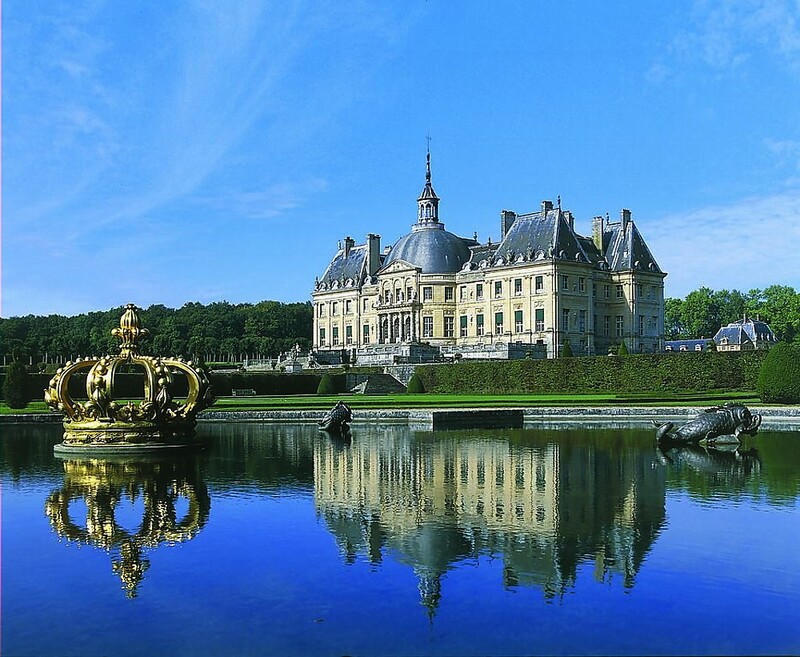 French Vogue: On this magnificent 11-day journey guests step into the 17th century during an exclusive VIP visit to the largest privately-owned chateau in France, Vaux-Le-Vicomte . Designed in 1653 by the King’s principal architect, the chateau is the embodiment of revolutionary design and set the tone for the classical era of French architecture. The estate’s gardens are equally impressive, comprising 100 acres of treasures, decorated fountains, patterned flower beds and timeless statues. Guests join the estate’s lead gardener for a guided walk through the gardens, or alternatively, learn about the subtleties of high society during a dining etiquette class hosted by a professional butler. French Impression: On this epic 27-day odyssey through France guests enjoy not only a VIP visit to Vaux-le-Vicomte as described above, but they also have the most quintessential of French experiences: a small-group gourmet foodie walk through the streets of Paris. They’ll join a Local Expert and food connoisseur and discover why Paris is so famous for its cuisine while they visit a variety of boutique shops, patisseries, boulangeries, chocolatiers, baguette cafes and tiny fromageries. Guests meet passionate foodies along the way, and give their palate an insider taste of the City of Light. Inspiring New Zealand: This exhilirating 10-day journey showcases New Zealand’s natural splendor, culinary flair and fascinating indigenous culture. Guests are invited for a VIP visit to the home of retired champion horse jockey Lance O’Sullivan and his wife, Bridgette. During a private lunch at O’Sullivan’s Red Barn, which overlooks Lake Karapiro, they’ll hear his racing tales as they feast on New Zealand specialties such as lamb and kiwi fruit and enjoy stunning 360-degree views of his 500-acre dairy farm. This itinerary also includes VIP entry to Te Papa, the Museum of New Zealand in Wellington, before it opens to the public. Guests take a guided walk through compelling exhibits and learn about the people, places and ideas that shaped New Zealand and the Pacific. Indulgence in Costa Rica: On this spectacular seven-day journey into the heart of central America guests not only see Arenal volcano, they also meet with a volcanologist from the National University of Costa Rica’s Volcanological and Seismological Observatory. They’ll learn about his research and hear how the area has been transformed by volcanic activity. Guests are also treated to an exclusive marimba show in Guanacaste on this itinerary, showcasing the beautiful sounds of one of the most popular instruments in Central America. Spectacular South Africa: This life-changing nine-day journey showcases the beautiful wilderness, eclectic cultures and complex historical heritage of South Africa. In cosmopolitan Cape Town guests enjoy a private lunch at the V&A Waterfront with Manfred Jacobs, a former warden at the Victor Verster prison where Nelson Mandela spent the last 14 months of his 27-year-long imprisonment. Jacobs tells fascinating stories about Mandela , one of history’s most heroic figures, and describes what life was like under the apartheid regime. While in Cape Town guests also enjoy a private VIP ride to the summit of Table Mountain on the famous revolving cable car, which offers 360-degree views of the Mother City. At the top, guests enjoy a drink and marvel at the African sunset. call 1-888-862-5952, or visit www.luxurygoldvacations.com. Luxury Gold is one of the family of brands of The Travel Corporation which created The Treadright Foundation, a not-for-profit working to help ensure the environment and communities we visit remain vibrant for generations to come. To date, TreadRight has supported some 50 sustainable tourism projects worldwide. The Foundation’s guiding principle is to encourage sustainable tourism development through conservation, leadership and support for communities. Foundation priorities are set by the Steering Committee, which includes sustainability leaders Céline Cousteau and Costas Christ. Past project partners include WWF, Conservation International, Wildaid, The Travel Foundation and The National Trust in the UK. Current initiatives include supporting various women’s social enterprises through the Artisan Alliance, the recently announced Wildlife Conservation Society’s Big Cat fund, WE.org and inspiring nature advocates like Céline Cousteau and Terri Irwin. To learn more about our past and current work at TreadRight, visit us at treadright.org. DELRAY BEACH, Fla., March 2, 2018 – The TreadRight Foundation, a joint initiative between The Travel Corporation’s (TTC) family of brands, celebrates World Wildlife Day 2018 with the announcement of its newest Wildlife Initiative project partner: the Wildlife Conservation Society (WCS). WCS joins leading organizations the Wilderness Foundation – Africa and Wildlife SOS – India as current TreadRight Wildlife Initiative partners, all with the shared goal of helping to ensure the planet’s most at-risk wildlife populations are protected. Through the new partnership, TreadRight is helping to support WCS’s Big Cat Fund. For more than 50 years, WCS has been a leader in big cat conservation. WCS works to conserve all big cat species, with long-term programs in 55 landscapes in 28 countries across Africa, Asia, and Latin America – the largest cat conservation footprint of any organization. With a well-established track record, long-standing partnerships, and more boots on the ground in more landscapes than any other organization working on global big cat conservation, WCS is striving to secure a future for these majestic animals. Around the world, big cats are among the most recognized and admired animals. As apex predators, they regulate the food chain and serve as key indicators of eco-system health. Yet all big cat species face a multitude of threats to their survival. Their IUCN Red List conservation statuses range from “near threatened” to “endangered,” with many populations falling fast. WCS is in a unique position to help—they work to conserve all seven species. In April 2016, WCS launched the WCS Big Cat Fund to bolster their conservation efforts for these magnificent and ecologically vital animals. Their goal is to recover and stabilize populations of tigers, lions, cheetahs, snow leopards, jaguars, leopards, and clouded leopards in important strongholds across their ranges. Today, WCS works to conserve big cat species in 28 countries and has developed comprehensive action plans with unique approaches in each site. These programs have demonstrated success over decades of sustained conservation. 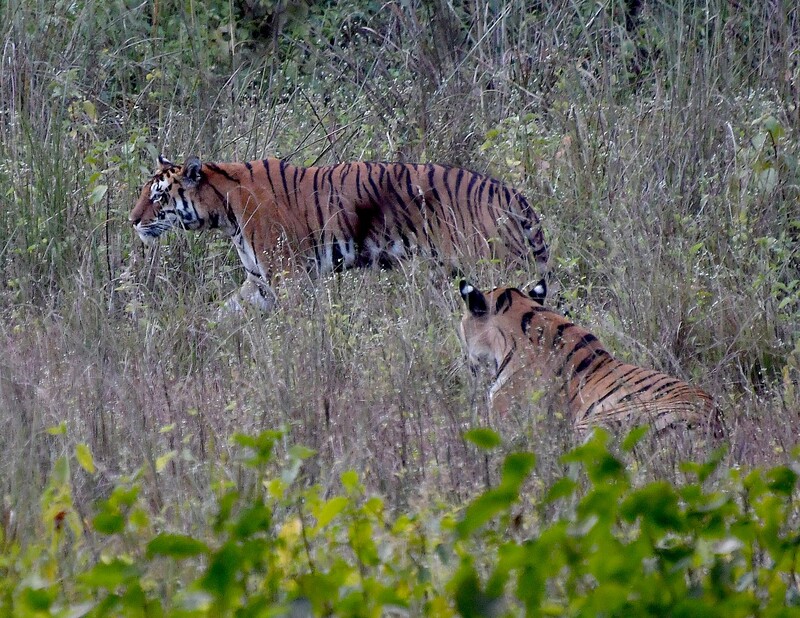 WCS understands the threats across big cat habitats and addresses them using rigorous science and conservation action. 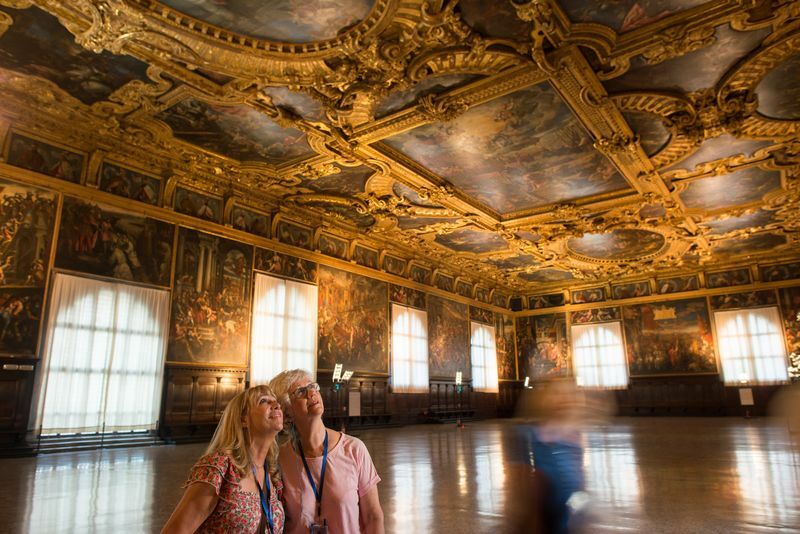 Enjoying a private tour of the Doge’s Palace in Venice on the Ultimate Italy itinerary. RYE, NY– Life-changing, exclusive experiences are the hallmark of Luxury Gold, whose collection of 42 exceptional small-group journeys offer guests the chance to visit extraordinary destinations, meet remarkable local people and have immersive adventures that are not available to the average traveler. In 2018 Luxury Gold takes exclusivity to the next level with the launch of its new Chairman’s Collection, a curated selection of truly memorable encounters with European nobles in stunning locales that are available on only 12 Luxury Gold departures in France, Italy, England and Austria. Inspired by the golden era of travel, Stanley Tollman, chairman of The Travel Corporation (Luxury Gold’s parent company), leveraged his extensive personal connections to give guests the opportunity to meet with counts, duchesses and princesses, and go behind the scenes at some of Europe’s most celebrated castles, estates and cafés. Alnwick Castle in the UK is visited by 800,000 people every year, but only Luxury Gold guests on the brand-new British Royale itinerary get a private tour of the castle’s gardens from the lady of the manor herself. Over the last 20 years Her Grace the Duchess of Northumberland has spearheaded the restoration of her beloved Alnwick Garden to its former 18th century glory, and personally committed her time and energy to upholding her family’s legacy. Guests also meet the head gardener, Trevor Jones, and learn about the various features of the garden such as the labyrinth, the serpent garden and the ornate fountains. Afterward guests enjoy a seasonal lunch and explore the 11th century castle, whose striking medieval architecture was featured in the Harry Potter films. Available on August 9 and September 13 departures. Café Procope is the oldest continuously operating café in Paris. On select departures on Luxury Gold’s two exciting new journeys in France, French Vogue and French Impression, guests will dine at the 400-year-old café with Count Rémy de Scitivaux. Between bites of coq au vin and other classic French specialties, Scitivaux will regale guests with tales from Procope’s colorful history, explain why it’s one of his favorite eateries in the City of Light, and talk about his noble background and family estate outside Paris. Available on May 11 and September 14 departures for French Vogue, and May 5 and September 8 departures for French Impression. Ultimate Italy and La Serenissima are Luxury Gold’s two spectacular Italian itineraries. On four departures only, guests partake in an exclusive lunch with Count Francesco Mazzei at his centuries-old family estate in the Chianti region of Tuscany. The property is home to the Castello di Fonterutoli winery, one of Italy’s oldest family-owned firms, dating back to the 1500s. 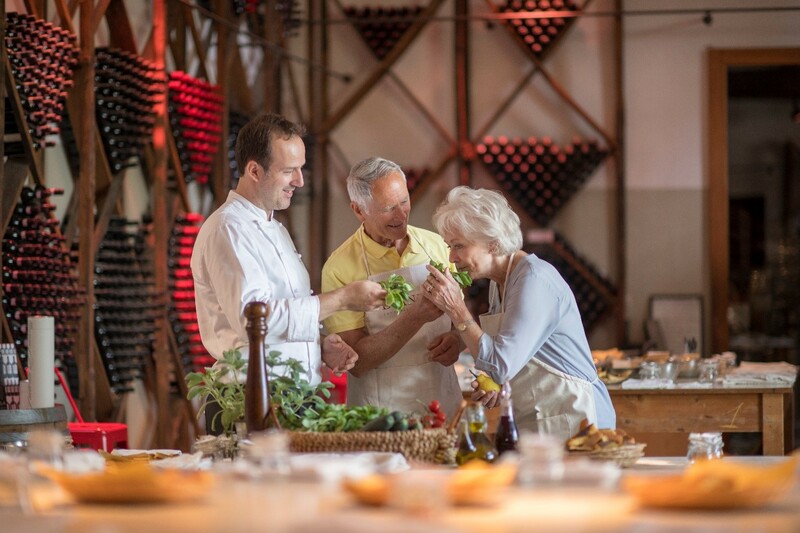 Guests will feast on pasta and wild boar hunted on the estate while learning about the Count’s family history and his approach to winemaking, then take a tour of the property and taste some of the award-winning wines. Available on May 19 and September 22 departures for Ultimate Italy, and May 10 and September 20 departures for La Serenissima. Austria’s Artstetten Castle has a long and storied history. It was used as a family residence by generations of Habsburgs, including Archduke Franz Ferdinand, whose assassination in 1914 sparked the beginning of World War I. It was later seized by the Nazis during World War II, but was returned to the Archduke’s descendants in 1949. One of those descendants is Ferdinand’s great-granddaughter Princess Anita von Hohenberg, the current occupant of the castle. The Princess, who is also a direct descendant of Empress Maria Theresa of Austria, shares Hapsburg family stories during a private reception with guests traveling on select departures of the Harmony of Central Europe itinerary. Afterwards guests visit the historical museum and see the crypt where the Archduke and his wife are buried. Available on May 14 and September 17 departures. For more information about the Chairman’s Collection and Luxury Gold journeys, contact your travel agent, call Luxury Gold at 1-888-862-5952, or visit www.luxurygoldvacations.com.